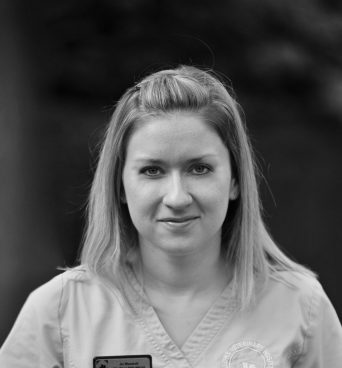 Jo qualified in 2012 from Liverpool having done Veterinary Science as a second degree. After gaining experience in a number of practices in and around the North West following graduation, Jo returned to the Willows in 2016. Jo has grown up with the Willows Vet Group, starting as a kennel assistant when she was 15, then completing student placements, before becoming a permanent member of the Veterinary Surgeon Team in 2016. Jo enjoys all aspects of her job and takes great satisfaction from building up good relationships with the clients and being privileged enough to witness the bond between owner and pet. At home, Jo is kept busy with a very bouncy young Labrador called Alfie – who likes to think of everyone as his friend!